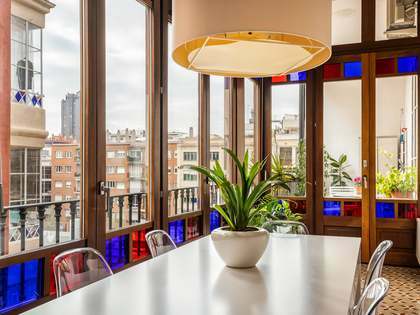 This penthouse located in Barcelona's 'Golden Square' is a very special home which stands out for it unique features, location and views. 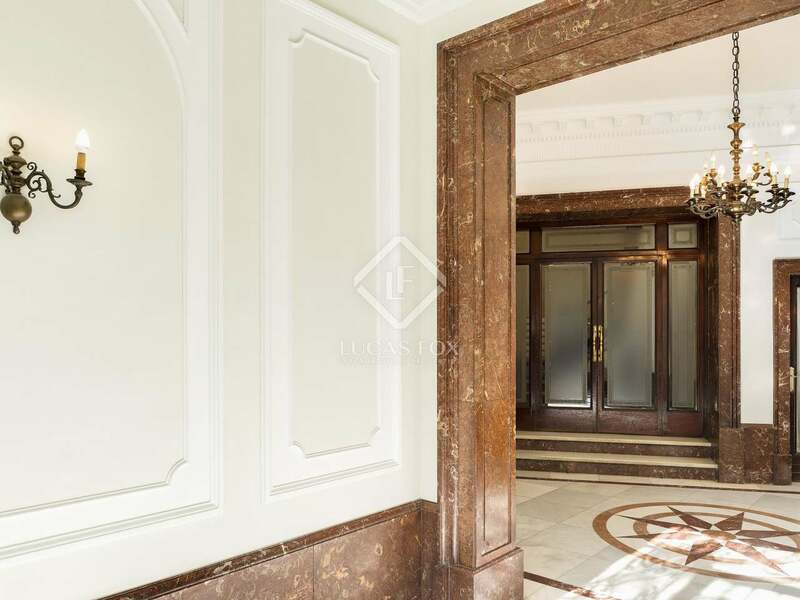 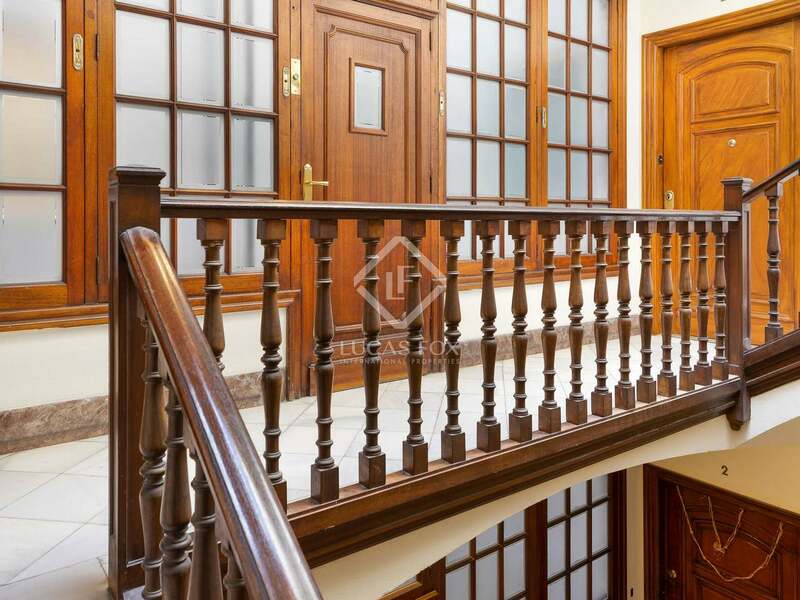 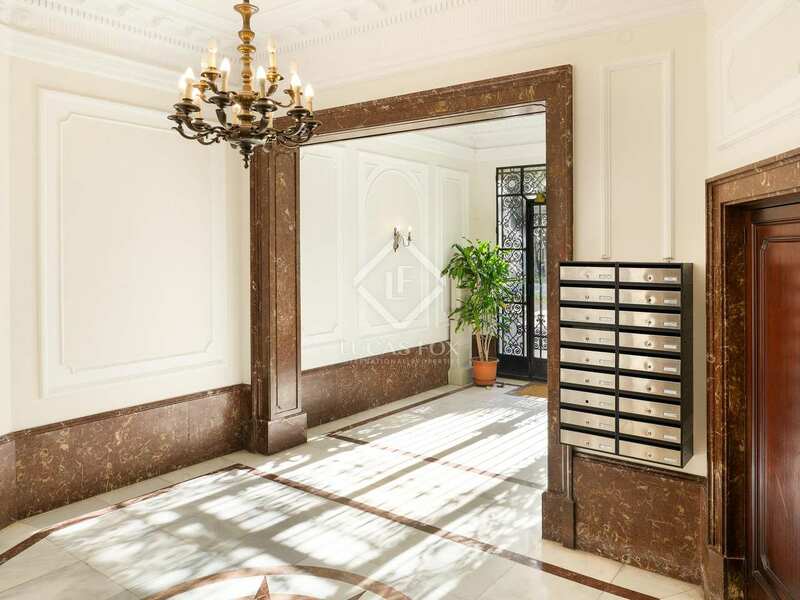 The property is within a stately building with a concierge service, lift and 2 entrances, the main and the service. 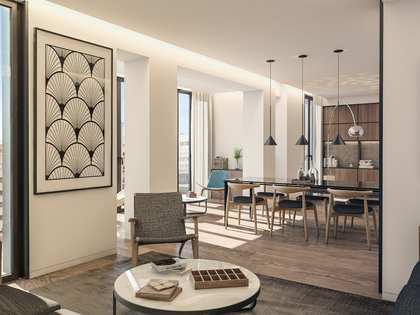 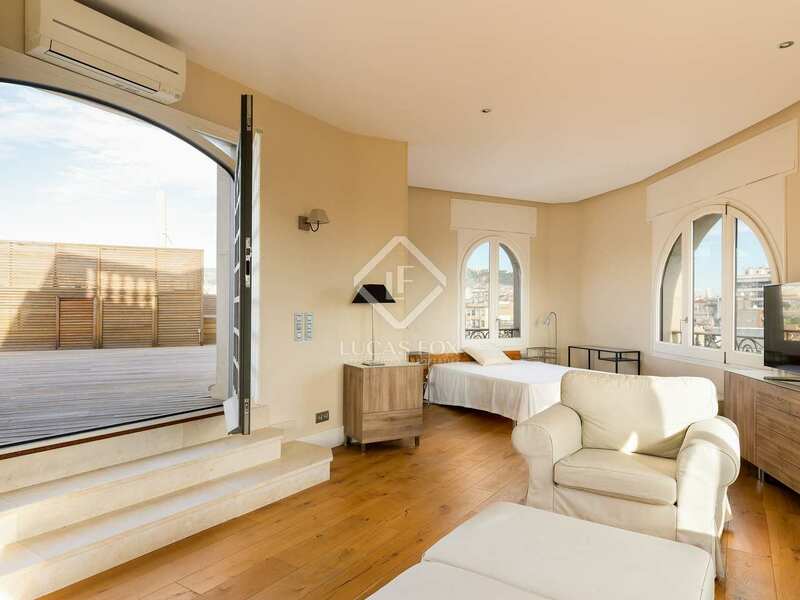 Inside we find a large living-dining room, an open-plan space with large windows that flood the house with natural light and offer views of the city and the terrace. 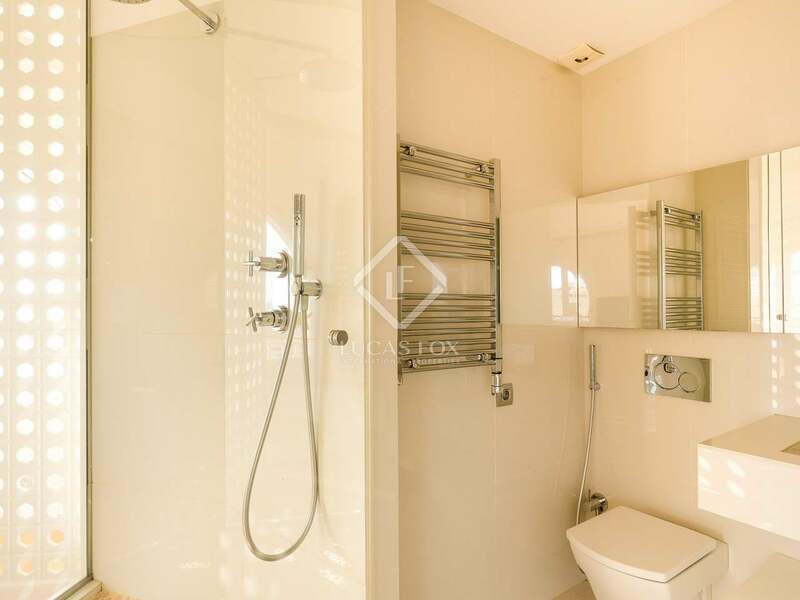 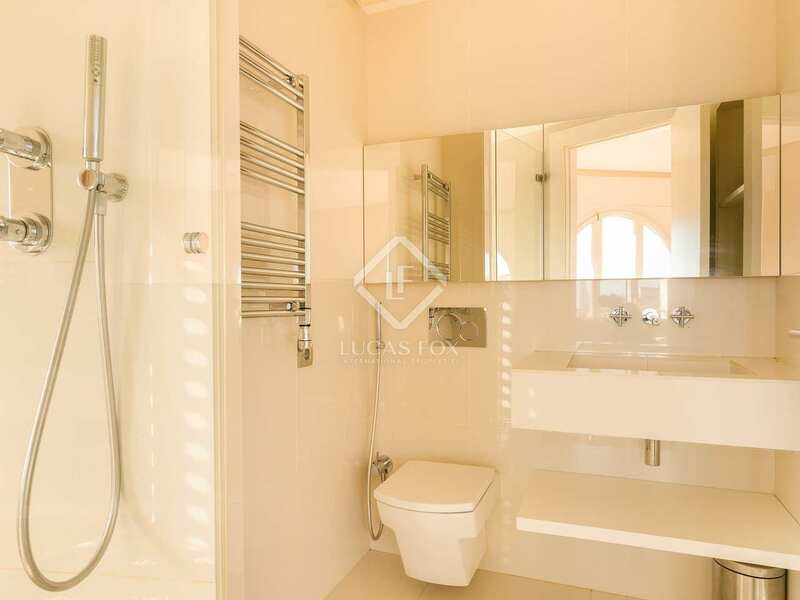 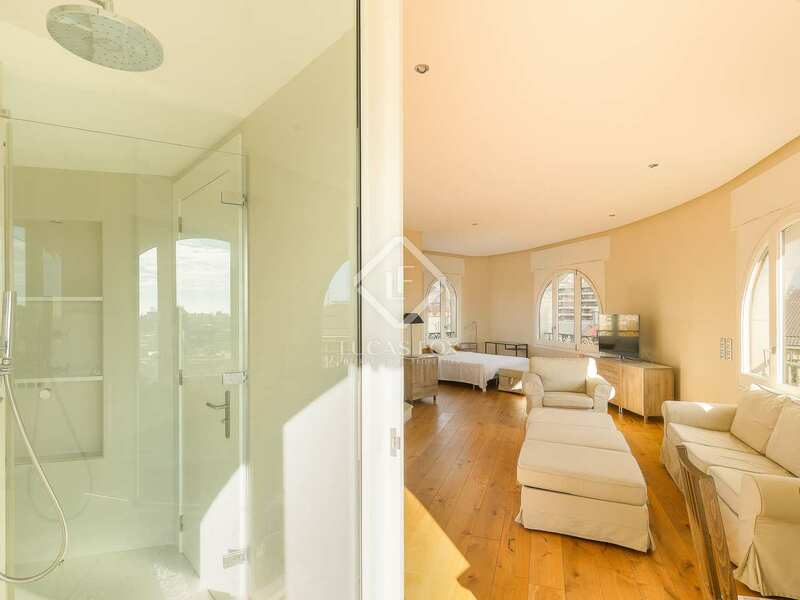 The penthouse also has a complete bathroom, a small equipped kitchen and a comfortable double bedroom with fitted wardrobes. 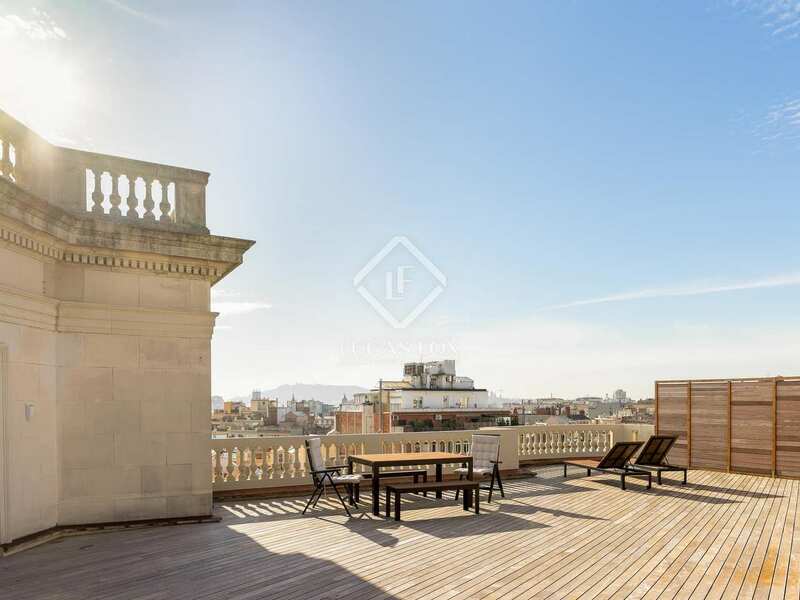 The 166 m² terrace with teak decking, accessed from the living room, is the stand out feature of this property. 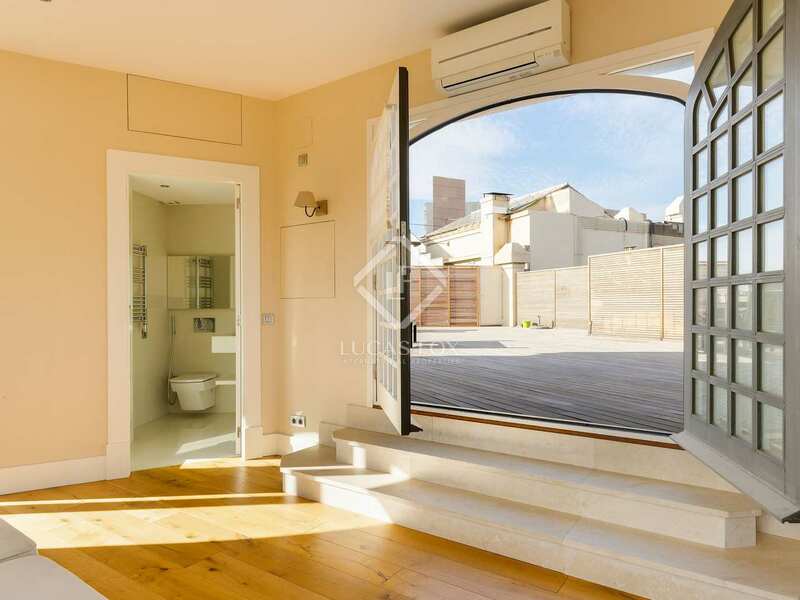 It is large enough for a chill-out area where you can relax after a long day or a barbecue area where you can entertain family and friends. 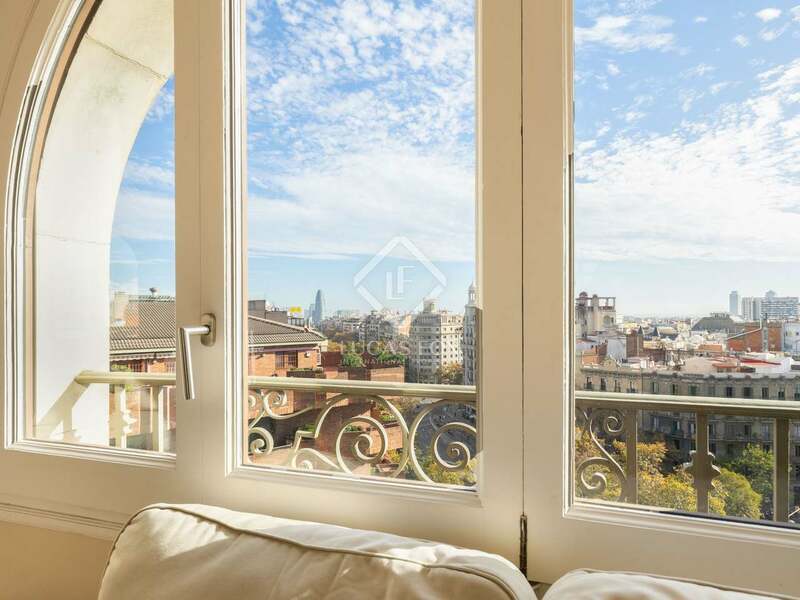 It offers great privacy and wonderful views of the city and some of its most emblematic sites, such as the Sagrada Familia. 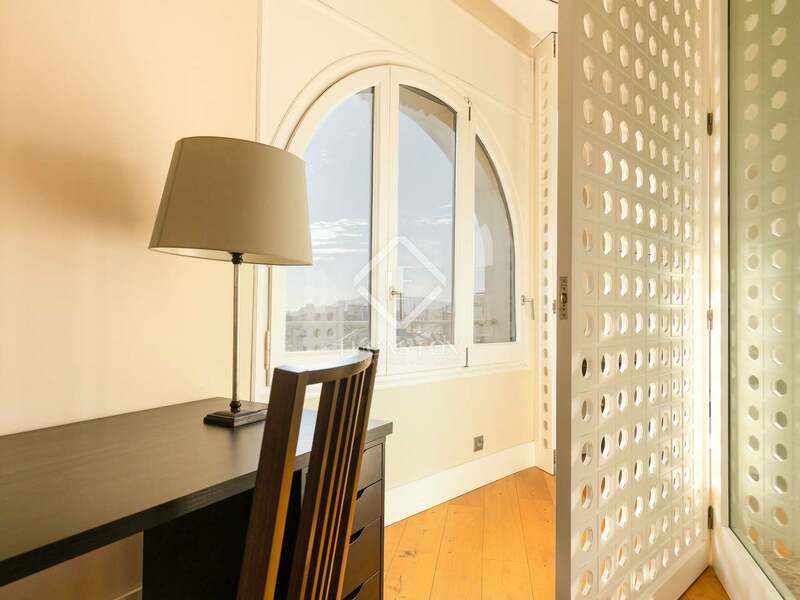 The house has wooden floors and is equipped with double glazed windows, air conditioning and heating to ensure comfort throughout the year. 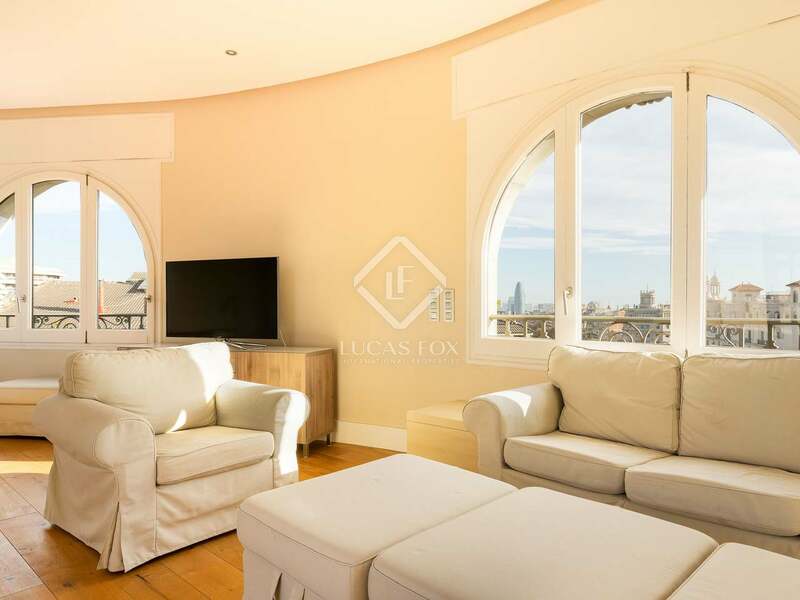 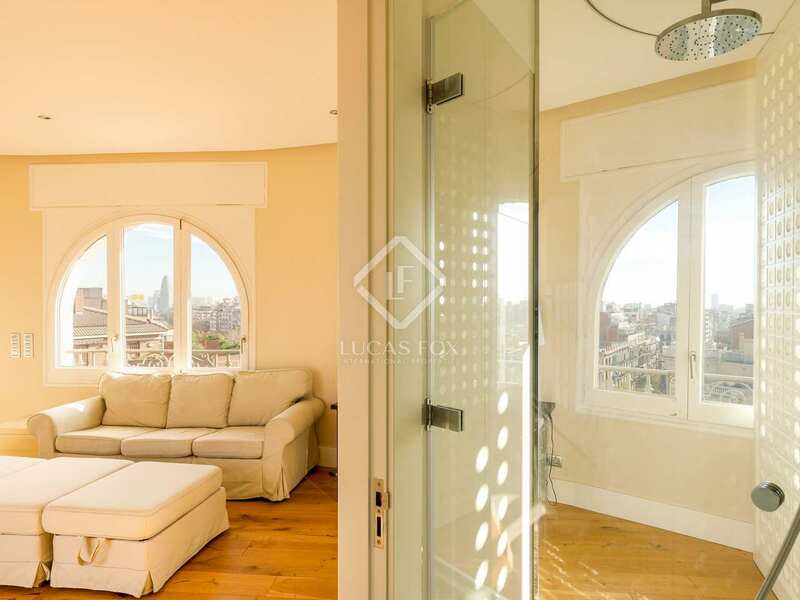 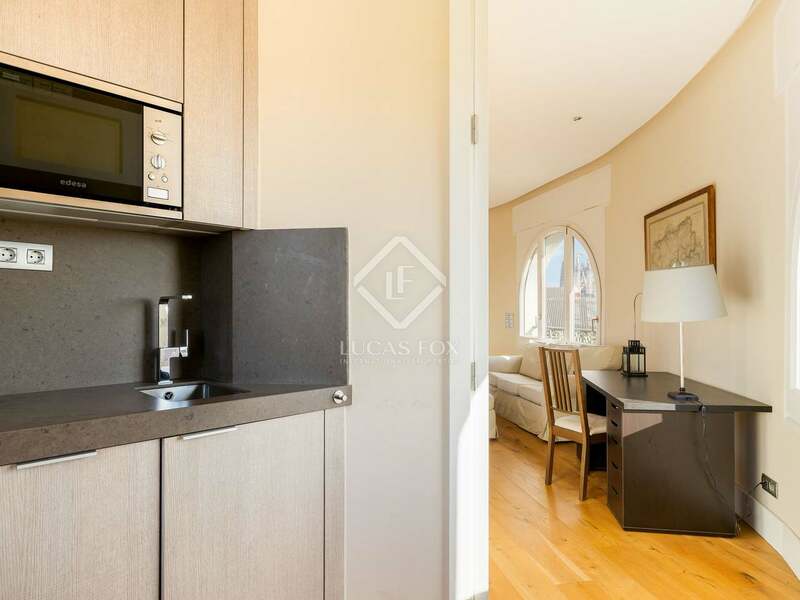 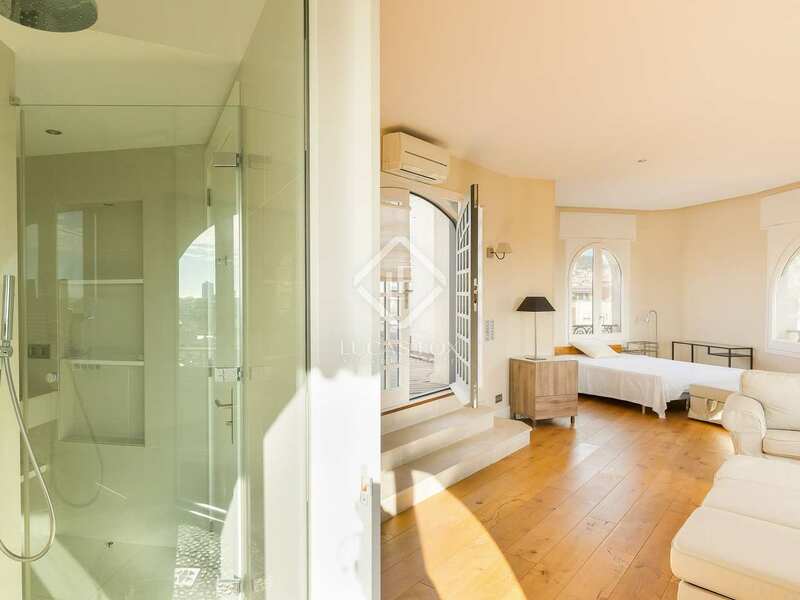 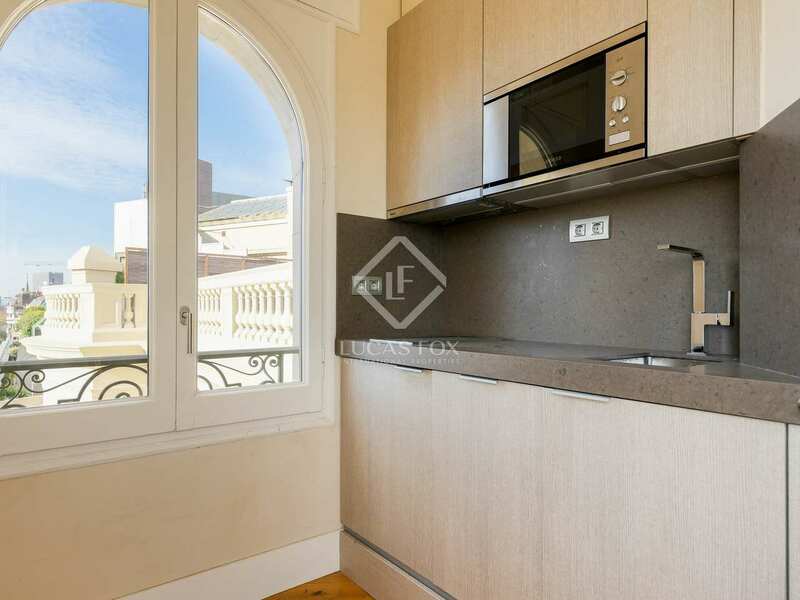 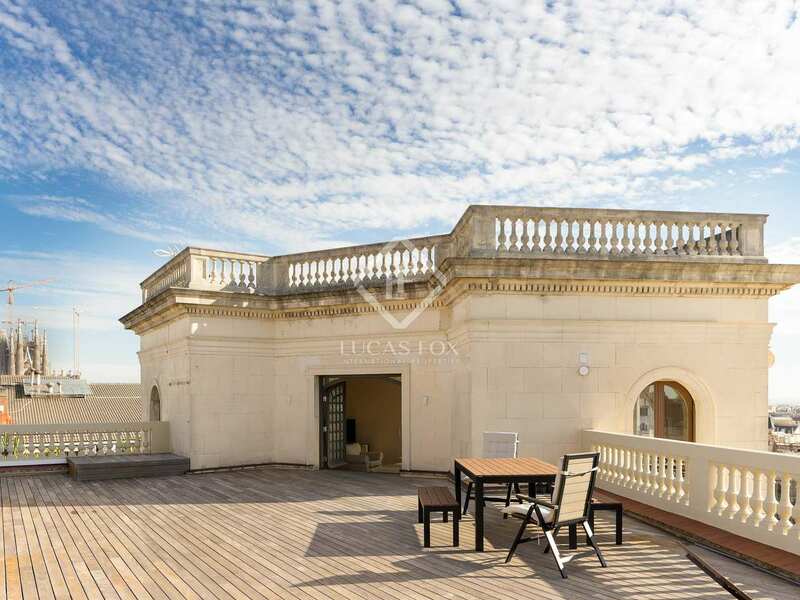 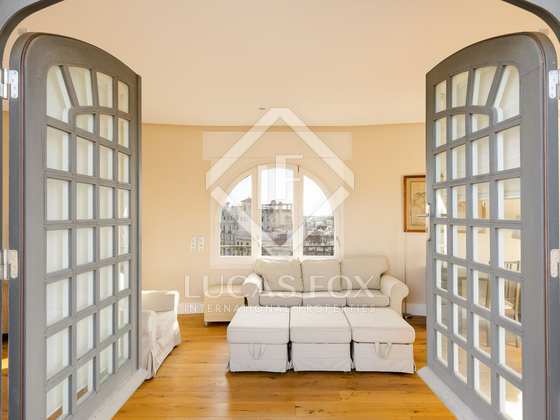 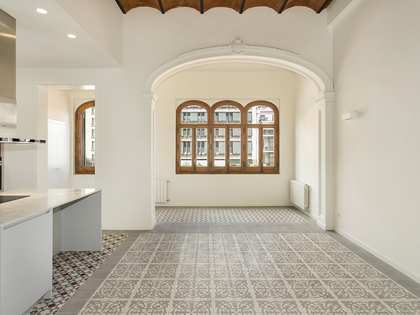 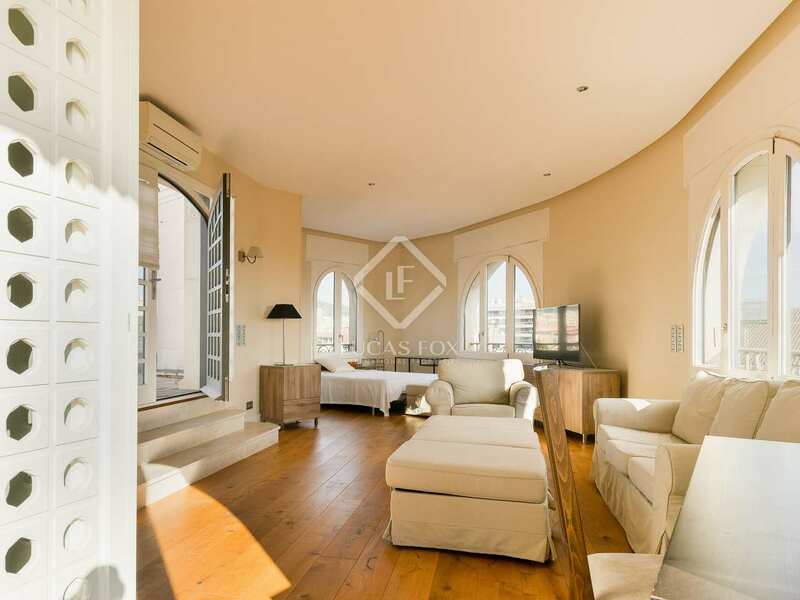 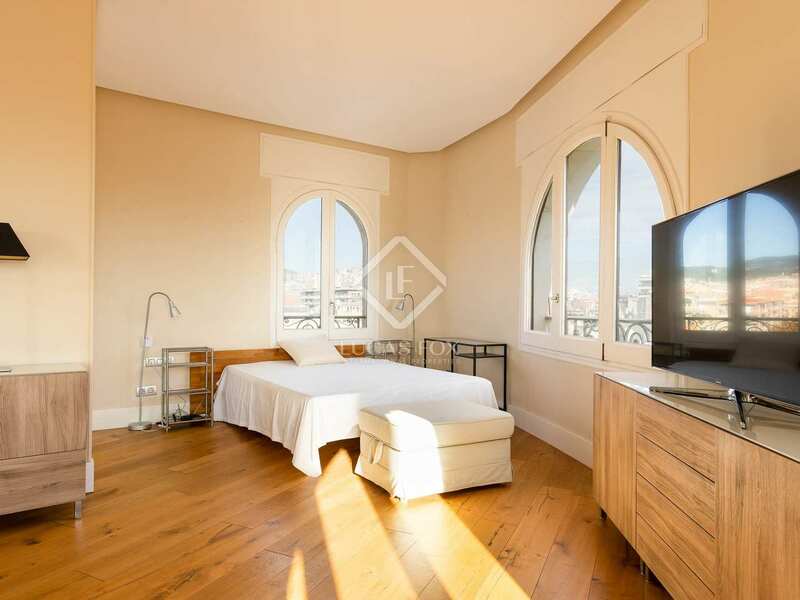 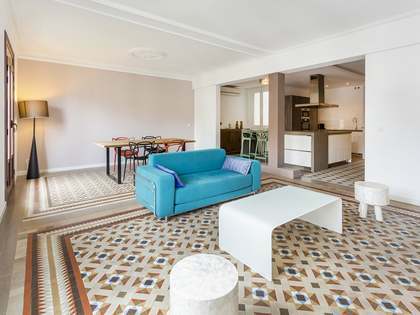 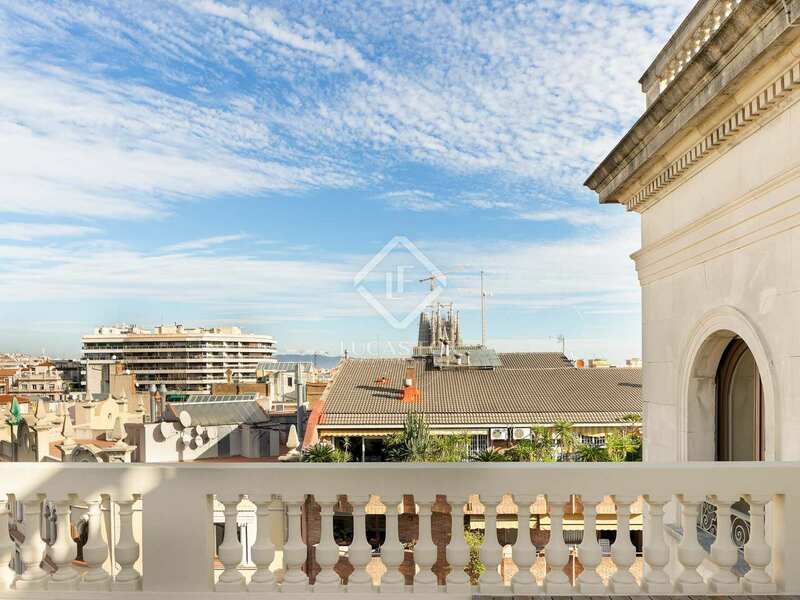 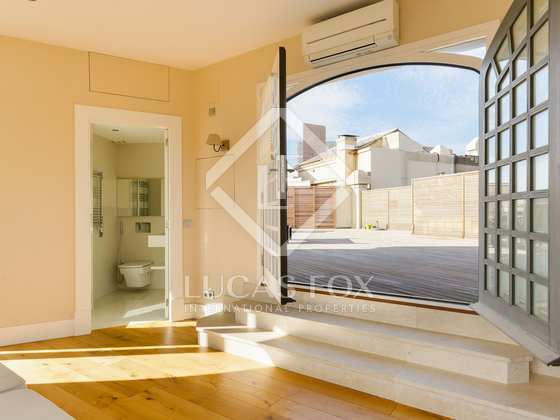 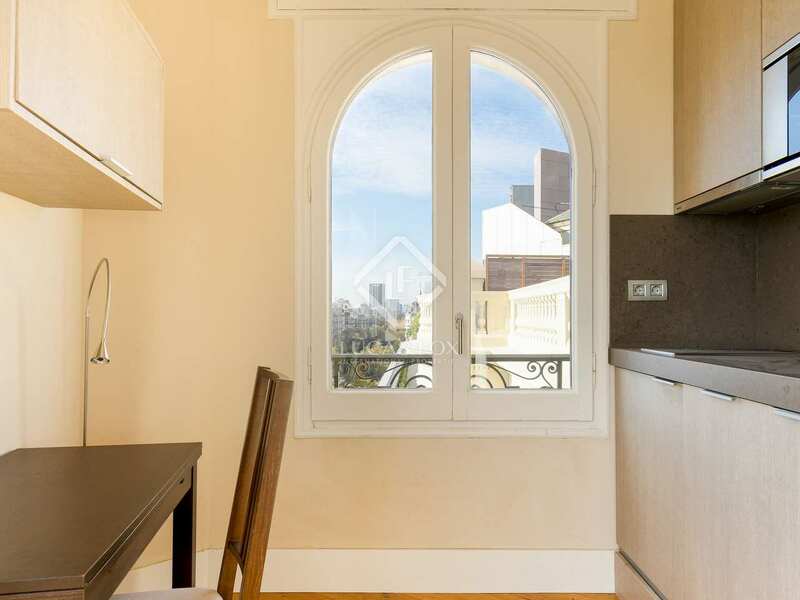 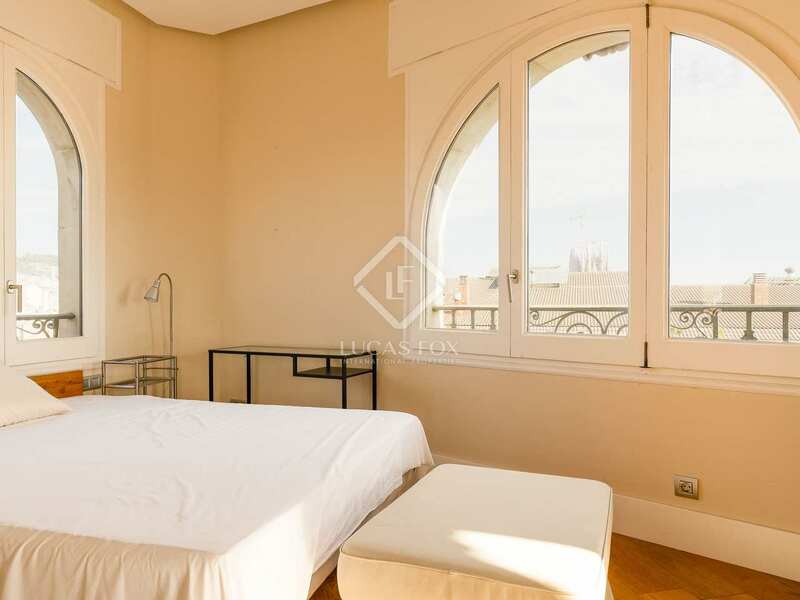 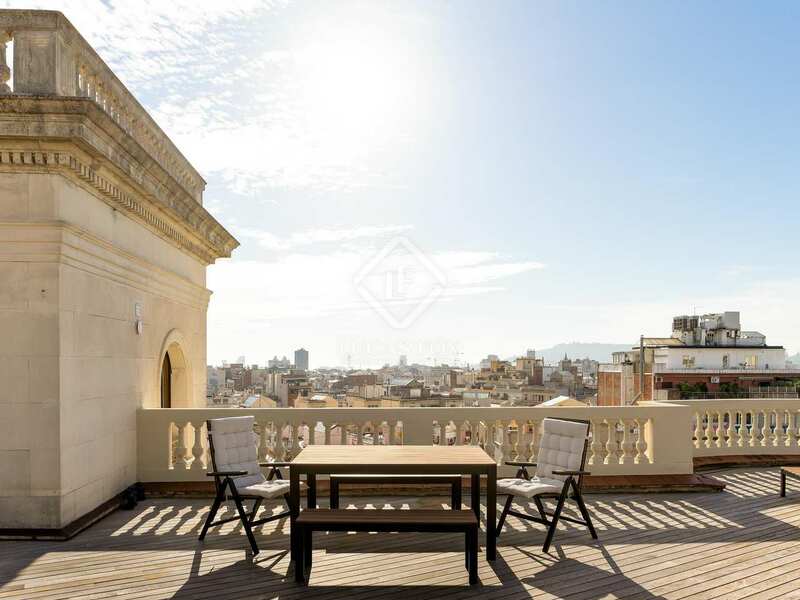 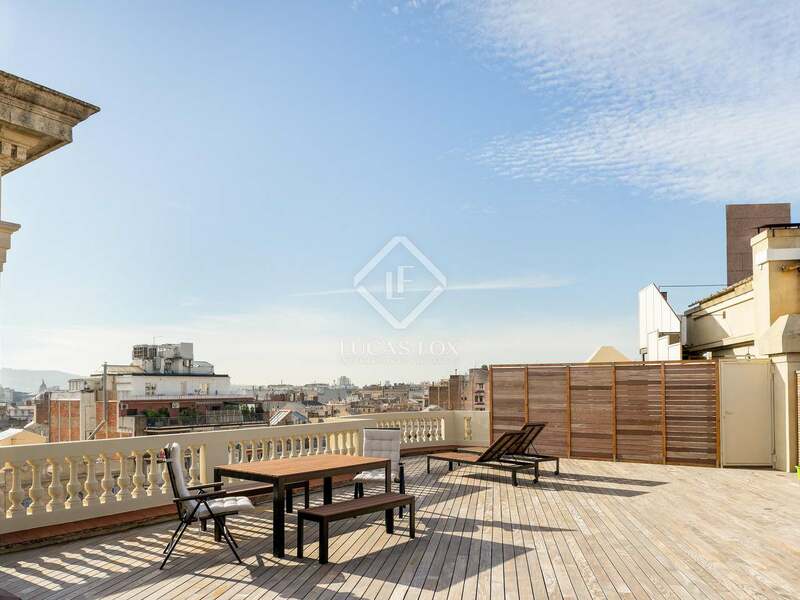 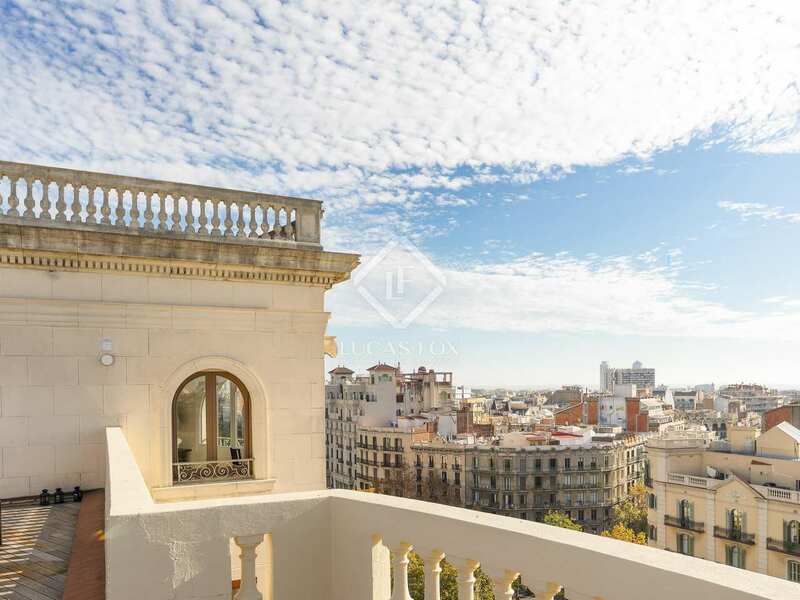 Contact us to visit this penthouse, ideal for an independent professional, artistic studio, or couples who want to live in the heart of the Eixample. 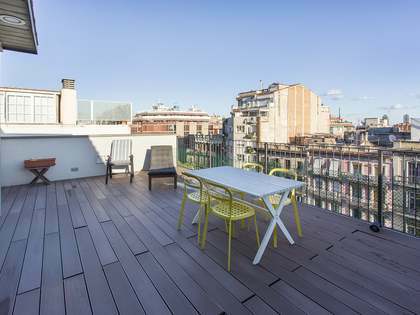 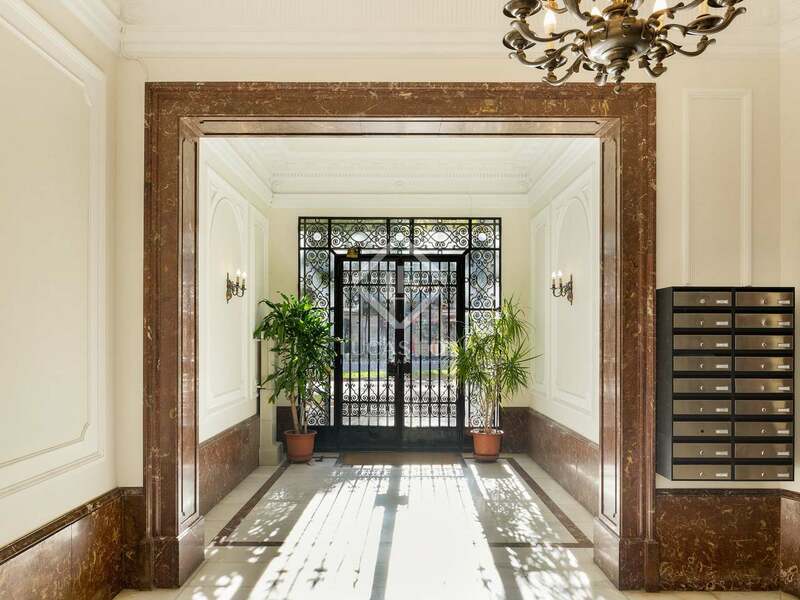 The penthouse is located in the 'Golden Square', considered one of the best and most emblematic areas of Barcelona. 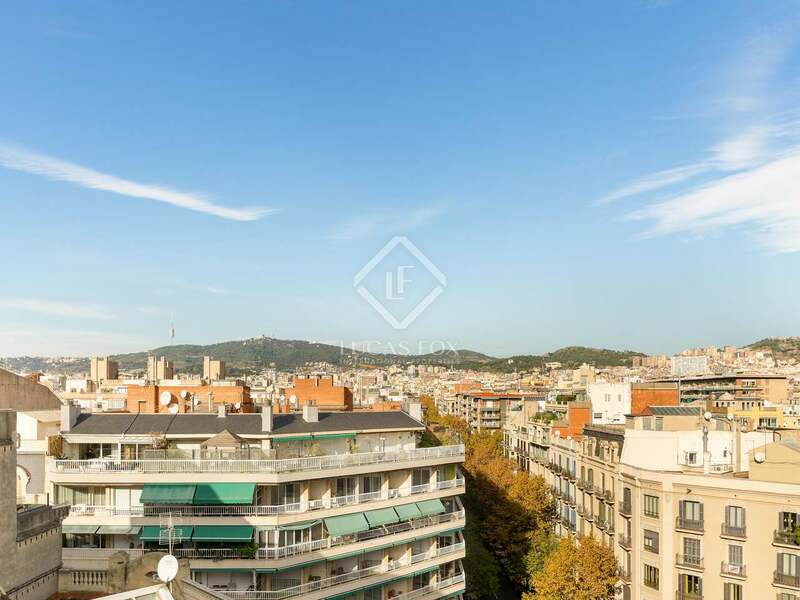 Many jewels of the modernist architecture of the 20th century are located here as it used to be the residential area of ​​the Barcelona bourgeoisie of the time. 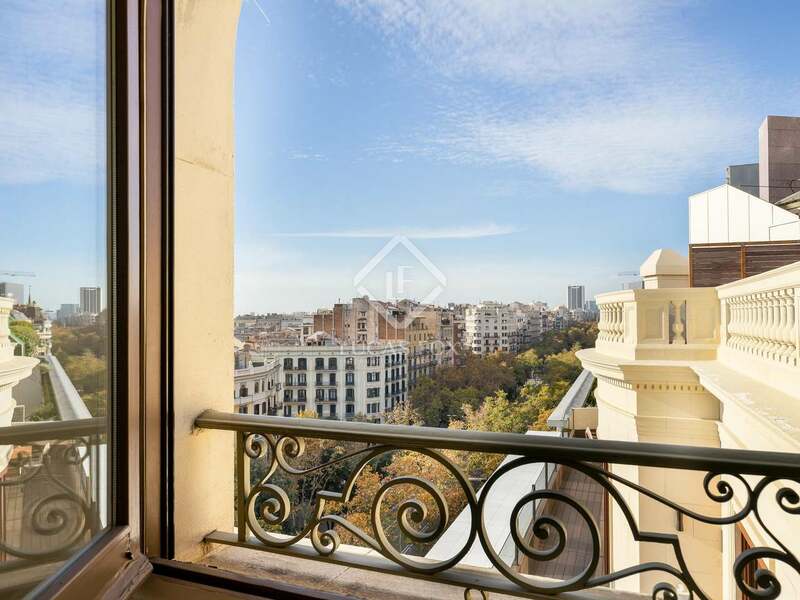 The 'Golden Square' includes Passeig de Gràcia, and is bounded by Carrer d'Aribau, Passeig de Sant Joan, Avinguda de Diagonal and Plaça de Catalunya. 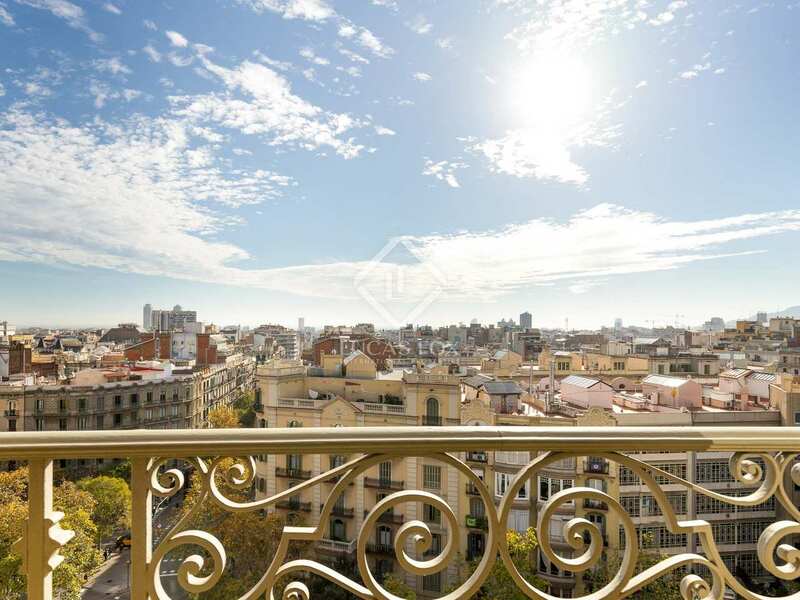 This area offers all kinds of services, the most exclusive shops and an enviable gastronomic offering in the heart of Barcelona.